With nearly 20 years of public accounting experience, Sharon Gordon is a partner in CohnReznick’s Construction and Commercial Real Estate Industry practices. She is based in the firm’s Roseland office. 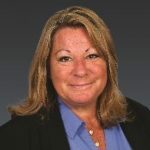 In her role, Sharon provides top-level industry guidance to construction and real estate clients while serving as a technical resource for CohnReznick. With deep knowledge of accounting standards relevant to the construction and real estate industries, Sharon is key advisor on technical compliance for many of her clients. She helps businesses wishing to maximize their bonding capacity and employ the most advantageous tax methods. She also advises business owners on ways to maximize their personal net worth. Sharon provides accounting, audit, and tax advisory services to both privately-held and publicly traded companies. She also provides services to businesses in the manufacturing and distribution industry and works on many employee benefit plans for her clients. In 2006, Sharon was recognized among the Top Executive Women in Real Estate by the New Jersey Real Estate Journal. She holds a Bachelor of Science in Accounting from Ramapo College.